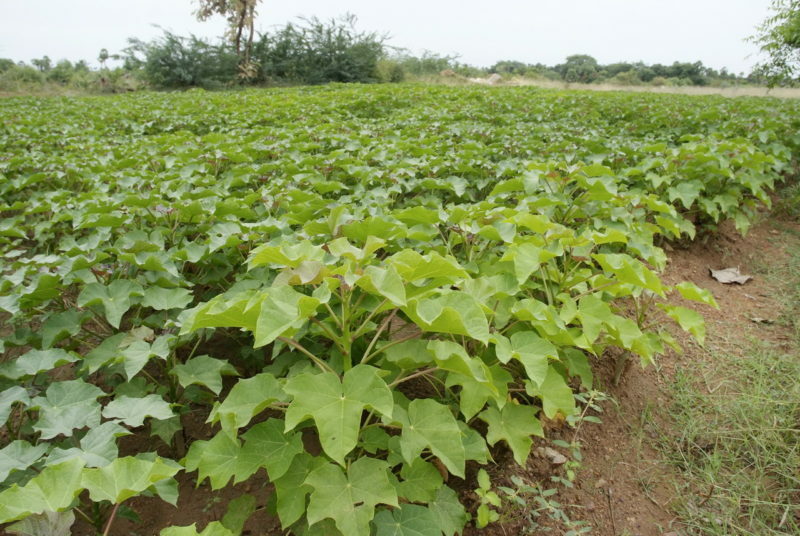 Jatropha, a rugged shrub which grows in a wide range of terrains including wasteland, sandy and saline soils, is seen as the preferred non-food plant for biofuel production in Nigeria. The plant, which can survive up to three years of no rain and needs little or no pesticide application as it itself serves as pesticide, is said to hold great potential in checking desertification, providing sustainable energy, and enabling the economic empowerment of rural dwellers, among other benefits. Analysts hope that the full harnessing of opportunities in Jatropha plant would enable Nigeria to not only address its power problem in a sustainable manner, but also liberate itself from economic recession. Their reason is that the country has large arable lands for growing the plant which is even endemic in many regions of the country. As part of measures to cut greenhouse gas emission and assist Nigerians adapt to devastating impacts of climate change, the Minister of Environment, Amina Mohammed, said the Federal Government would grow Jatropha in 20 states to develop bio-fuel to replace fossil fuel. “The project would serve as alternative to fossil fuel, provide jobs for the local communities and diversify the economy. Ultimately, this will result in the establishment of an African Clean Energy Hub in Nigeria. Jatropha also has potential to impact on five key elements of the COP21 Paris Climate Change Agreement,” she said recently in Abuja, the Federal Capital Territory (FCT). Also recently, a Malaysian company reportedly expressed willingness to invest in Nigeria’s growing Jatropha business, a project described in a document as capable of not only ensuring clean energy to promote quality of lives, but also would accelerate job creation. The ruggedness of the Jatropha plant in surviving under dry and harsh weather makes it a choice plant for checking desertification, while its oil-rich seed is used in producing bio-fuel as well as cream, oil and soap. Records show that a typical Jatropha farm has a life span of up to 40 years. A hectare of its farm produces fruit of 1.5 tons in the first year, 3.5 tons in the second year and five tons in the fifth year. A field trip to a Jatropha demonstration farm in Morocco by Fellows of the Internews’ Earth Journalism Network (EJN) to the just concluded UN climate Change Conference (COP22) in Marrakech revealed interesting dimensions of the plant. The coordinator, Centre for the Development of Jatropha Project in Morocco, Professor Abdelkader Outzourhit, listed many uses of the plant to include production of bio-diesel to power diesel engines, and for making oils for creams which has the ability to smoothen the skin and remove wound scars. According to Outzourhit, although the processing of Jatropha seeds was yet to begin in Morocco, a similar crop, Argan, with the same characteristics was been used for the purposes. “They make several Argan oil-based products like soap, oil and bio-fuel. But you can also make them from Jatropha. Jatropha oil is very soft for the skin,” he said. He added that the project has passed a critical stage as the plants which were brought from Mali, India and Mexico were able to adapt to the Moroccan climate, pointing out that the next stage of development would be the partnership with rural communities for their acceptance of the project, which would be followed by training the people on how to extract diesel from the jatropha seed as well as producing other commodities. At one of the Argan processing centres in Morocco, youths and women in rural towns were seen employed as breakers of the Argan nut to remove the seed, some were extracting the oil using local machines while yet others were selling the final products including Argan cream, oil and soap. Morocco, Egypt and Algeria are among three countries that benefitted from the European Union Jatromed initiative of using the Jatropha plant for generating renewable energy and to address poverty and rural unemployment with the Jatropha value chain, a project with a total budget of EUR 1.82 million and spanning between 2011 and 2015. As Nigeria also plans to develop its own Jatropha industry, it is interesting to note that some private sector organisations in the country are already tapping into the field. One of them is the Landmark University in Omu-Aran, Kwara State, which is said to have begun to produce diesel from Jatropha biofuel seeds planted on 534 hectares of farmland. Now mainstreaming Jatropha project into the Africa Renewable Energy Initiative (AREI), which Nigeria is a beneficiary. It is seen as a practical step towards sustainably solving the country’s perennial epileptic power situation and also enhances the living standards among the people. The AREI, a project aimed at lighting up Africa is set to achieve at least 10 GW of new and additional renewable energy generation capacity by 2020, and 300 GW by 2030. But grappling with recession following flat fall in oil price since its economy is wholly dependent on petroleum export, analysts say, the country on its own cannot fund its climate change adaptation and mitigation projects in line with the Paris Agreement. The government has therefore resolved to launch a Sovereign Green Bond by the first quarter of next year to raise part of funds to implement its Intended Nationally Determined Contributions (INDCs). At a forum during the COP22, President MohammaduBuhari who was represented by the country’s Minister of Environment, Amina Mohammed, said that part of the country’s target was to ensure regular power, 30% of which would come from renewable sources. “Nigeria submitted its ambitious INDCs. We have now pledged a 20% reduction of greenhouse emission by 2020 and 45 conditional commitment which can be achieved with financial assistance, partnerships, technology transfer and building capacities. And to share with you the progress that we have made since COP21 in Paris. We have prepared an NDC implementation road map, detailed roles of responsibilities around mitigation, adaptation, monitoring, reporting and verification of greenhouse gas emissions and putting in place government structures. We are developing central plans for the five main economic sectors in Nigeria namely power, oil and gas, agriculture, transport and industry. We are ensuring full of the commitment to the NDCs by the relevant ministries, departments and agencies .This multi central collaboration is crucial to delivering results. “Inspite of the global downtown in our own constraints domestically, we are committing a reasonable part of our 2017 capital budget to this effort. In addition, we are set to launch our first ever green bond in the first quarter of 2017. This is intended to fund the series of projects targeted at reducing emission and greening our economy as embedded in our NDC. So say the lists, Nigeria seeks partnership and supports in terms of technology and finance to implement its INDCs for addressing climate change, and to achieve that the country should be prepared to spend about $142 billion dollars to derive estimated national benefits of $304 billion, based on World Bank’s calculation. To this end, stakeholders in the UNFCCC COP say the onus is on developed nations to fulfill their pledge to donate $100 billion annually among other monies and new pledges, to assist developing countries to plan and execute climate change adaptation and mitigation initiatives, especially renewable energy sources development, one of which is the Jatropha plant.